Summer registration is now open - join the fun! Play two full ONE HOUR matches each week. We use only the best equipment from Park & Sun. You will play at least 10 matches of regular season play. Games start at 6 PM and you play until dark! Leagues start in March - Join the fun now! 7 Week Regular Season (14 matches) + a big END of season tournament. 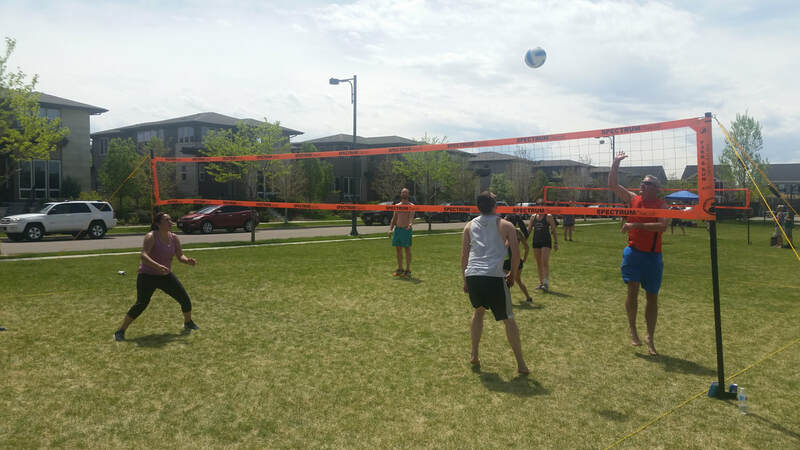 League provides all nets, volleyballs, dedicated league page with score sheets and standings. Great sponsor bar with league only player specials! Play on better fields, better equipment and with staff that show up on time and provide a 5-star experience with Meet. Play. Chill. Great fields with tons of grass coverage, no goose poop! and plenty of FREE street parking RIGHT NEXT to the park! We'll have the speaker out there bumpin' tunes - come join the fun! Grass leagues starting at just $40 per player!